Amazon has recently announced that the company is about to launch all-new fire tv device in the coming days. Although the date of launch hasn’t been disclosed but it is expected to be released in market by the end of next month. People who were thinking to buy amazon fire stick these days, have to hold off a little longer. The Amazon Fire Stick is a modern device which makes your home TV to stream the multimedia content through WiFi network from platforms like Youtube, Hulu, Pandora, Netflix and more. The fire stick comes in a very small size similar to a pen drive and it can be connected to the HDMI port of Television. What are the contents of the packaging for Amazon Fire TV Stick? The comprehensive packaging is small and has a simple yet dynamic look to it. The fire stick comes in a cute little orange cardboard box with the Amazon logo on it and a vivid image of the Fire stick and the remote. The instructions on the side include what the box includes and what is needed to get the fire stick working. The instructions on the back of the box can be very useful too. The outer box can be unboxed to reveal a basic, smooth black box with the monotone Amazon logo done neatly on it. Unboxing this inner box reveals the following contents put into their respective slots inside. A quick start guide is also included. What is the current price of Amazon Fire Stick in the US and the UK? Currently Amazon Fire TV Stick with Alexa Voice Remote | Streaming Media Player sells at USD 39.99 on Amazon and eBay in the US and for £29.99 in the UK. The price of the All-New Fire TV with 4K Ultra HD and Alexa Voice Remote is £59.99 in the UK and for USD 69.99 in the US on Amazon and eBay. How to set-up the Amazon Fire Stick on your TV? Firstly, please ensure that you have an HDTV with HDMI input and output resolution of 720p and 1080p up to 60fps/50 Hz. The popular HDCP-compatible models from: Samsung, LG, Sony, Panasonic, Videocon, Onida, Micromax, Vu, BPL, and others. What are the channels supported by Amazon Fire TV Stick in the USA and the UK? The HBO Now feature does cost $15 per month, though they do offer a free 30-day trial to test it out. We’ve added it since cutting the cord and it works great. Amazon also recently added Showtime and Starz as other add-on features for $8.99 per month if you like those channels. 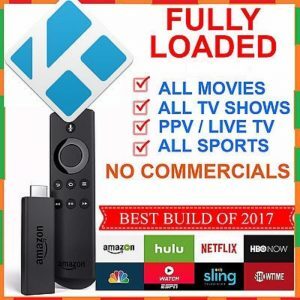 There is a ton of content available through the device and while a good bit of it isn’t free – like Netflix or Hulu Plus, if you already subscribe to one of those services you’ll find the Fire TV Stick seamlessly integrates with your TV watching habits. What is Amazon Silk how does it work on Amazon Fire TV Stick? Amazon Silk is a web browser developed by Amazon. It was launched in November 2011 for Kindle Fire and Fire Phone, and a Fire TV version was launched in November 2017. The browser uses a split architecture where some of the processing is performed on Amazon’s servers to improve webpage loading performance. What are the basic features of the Alexa voice-based remote control and how to set it up? Your Amazon Fire TV comes with a wireless remote that automatically pairs with your device once you insert the included batteries. If you’re having trouble setting up your remote, inserting the batteries, or using the navigation buttons, here are some tips that may help. To remove the back cover of the remote and insert the included AAA BATTERIES. Use your thumbs to apply pressure on the “arrow” on the back of the remote. Press up until the entire back cover slides up slightly. Lift the back cover up and away from the remote. Insert the two AAA batteries. Re-position the back cover onto the remote and slide down to snap it into place. Firmly press down the latch on the back of the remote and lift upwards. Note: It can take a considerable amount of pressure to open the battery door. Pull away the battery door. Slide the door back in place. Press down to secure. How to Navigate Alexa voice-based Remote Control? Only available on Alexa Voice Remote models The built-in microphone at the top of the remote lets you use your voice to interact with Alexa. You can ask for information, search for movies and TV shows, play music, get news and weather, launch apps, and more. Just press and hold the Voice button, then speak into the microphone. Release the Voice button when you’re done speaking. Directional Navigation Use your remote’s directional keypad (the “Navigation” ring around the Select button) to scroll right, left, up, and down. Select Press this button to select the item or option currently highlighted on-screen. Home Return to the Home screen. Menu Open more options, based on the item or function currently selected on-screen. Back Return to the previous screen or action. Fast Forward Media control buttons let you rewind, play, pause, and fast-forward video or audio. For video playback, you can press the Rewind or Forward button once to skip 10 seconds back or forward. You can also press and hold Rewind or Forward to continue navigating backward or forward in the video. Additional presses allow you to cycle through available speed options.